Teravainen had 13 goals and 22 assists for 35 points in his first full NHL season. 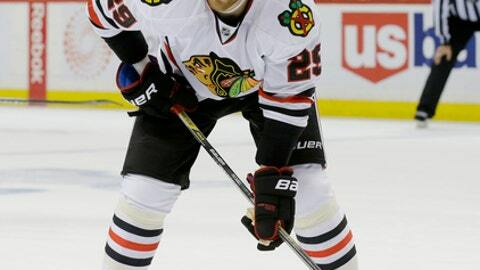 He had four goals and six assists during the Blackhawks' Stanley Cup run a year ago. Bickell, who split time between Chicago and the AHL's Rockford last season, has one year left on his contract, at a cap hit of $4 million. He was considered a buyout candidate with the window opening Wednesday.